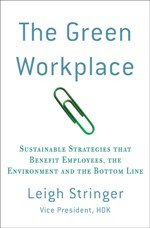 The Green Workplace: Environmental Messages in Elevator Music? Remember when you were in middle school and all your friends told you that if you played your tapes (records, 8-tracks, CDs, MP3s for those of you in different generations) in reverse, you’d hear satanic or sexually explicit messages? Well, I never was able to figure out how to get my tapes to play backwards, but the thought struck me that perhaps music could be a way to spread environmental messages as well as more risqué ones. The idea struck me when I was listening to the radio – 94.7 the Globe – this is a “green-focused” radio station by CBS-Radio. The principles behind the station are to promote green living both on- and off-air. For example, the station purchases wind power offsets. It also encourages listeners to live an eco-friendly lifestyle by providing tips on the air and promoting socially-responsible events. Lots of offices use Musak or other services to provide lobby or elevator music. Why not look into stations or services that incorporate environmental messages? For example, Sirius radio offers a station called “Lime” that is marketed toward people searching for a “healthier, greener, more balanced life.”Or back to the “satanic” tapes of yesteryear: what about subliminal messaging? Who wouldn’t like to subliminally learn to recycle bottles and cans while listening to some Matchbox Twenty (the Beatles, Justin Timberlake, Miguel Bose, [insert your favorite artist here]). I think this is a great idea. When messages can be played to the ordinary person who is walking around a shopping mall, or riding up to work -- it can only help us move toward a more clean and healthy place to live. And who doesn't want that? Even at the expense of Muzak?